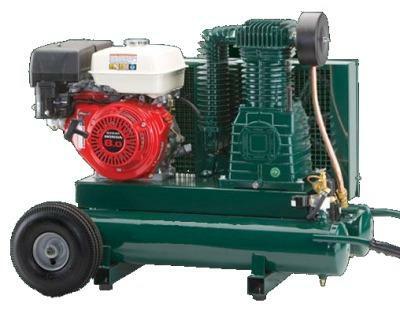 This compressor has the power to work all day and get the job done. 9 HP Honda engine, 2 stage pump, 16 cfm, 175 psi. Wheelbarrow style with 2 pneumatic wheels for stability and ease of movement. 9 gallon tank capacity.